Emma Frost & Cyclops breakup CONFIRMED! 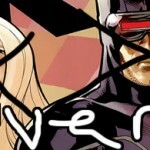 Bendis said Emma Frost and Cyclops will be broken up in his upcoming Uncanny X-Men run. Emma Frost may be locked in prison, but she's not going anywhere, according to Axel Alonso in a CBR interview -- meaning she'll still have a big role to play and will most likely be freed from prison! Show your support for EMMA FROST and vote at Marvel's Facebook page! 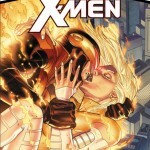 Kieron Gillen talks about the final issues of "Uncanny X-Men", while Greg Pak dishes on Emma Frost in "X-Treme X-Men" and what actress would make a great Emmeline! Plus, check out the latest AvX previews.